Congratulations to Sparkles and Getty on their first litter. Sparkles had a restless night last Monday and delivered 2 girls and 2 boys the next morning. Mommy and babies are all doing fine. Tessa, Sparkles’ roommate, is nearby with her 5 pups and both mothers seem to have a common bond as it is the first time for each of them. 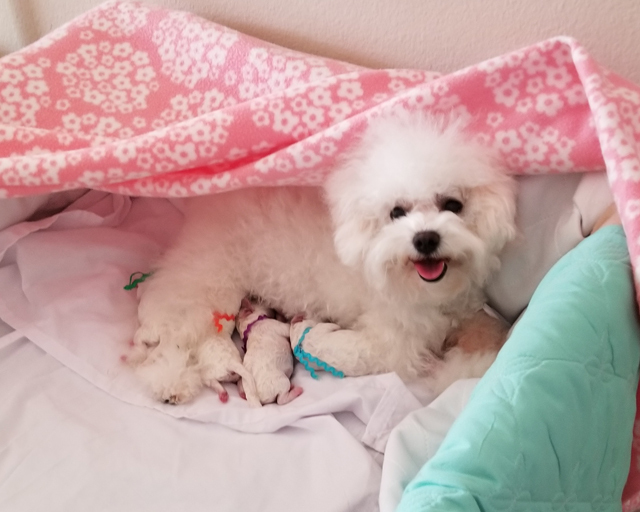 Lily Lee, their human mommy is attentive to their every need and seems to be enjoying her first litters as a bichon breeder. Linda and Deb will continue to mentor her using the best practices of Hollyhock Bichons. 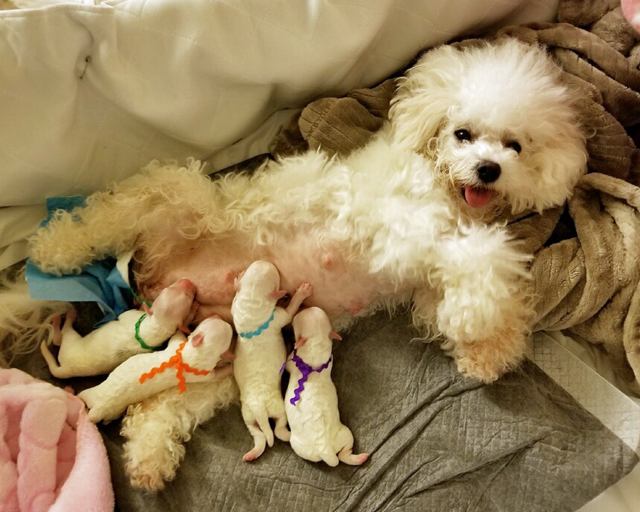 Breeders of bichon frise show dogs and companions adhering to strict health and conformation standards. AKC Breeder of Merit.